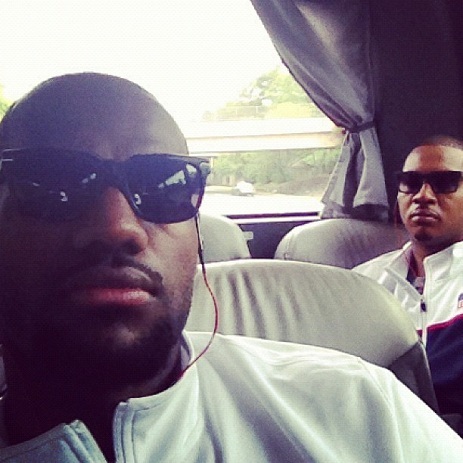 Atlanta Blogger: Today Lebron James tweeted a new photo of him and Carmelo Anthony chilling on the bus headed a USA Game. I respect them boys for playing for their country. Representing!! I guess this a great chance to get away from their wives and girlfriends and have some real fun. lol GO USA!!!! Charlamagne Tha God Responds To The Punch.